BRIDGETOWN COMEDY FESTIVAL 2015 POSTER ComedyPortland Oregon Neil Hamburger etc. 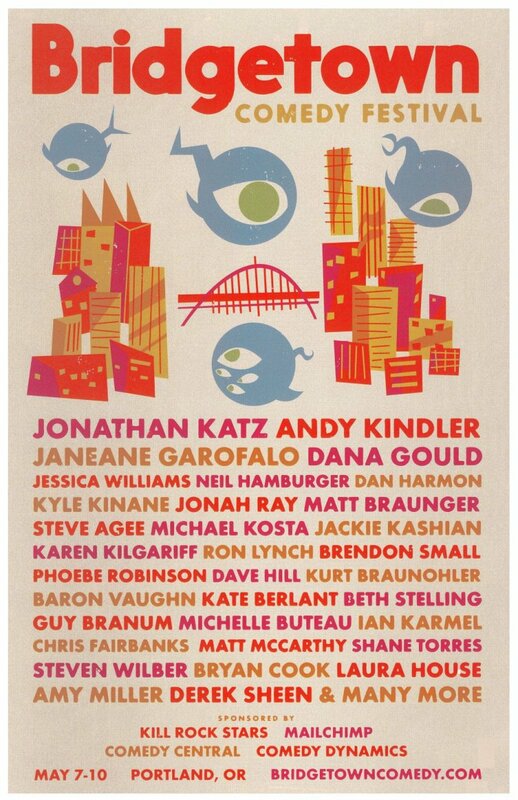 This BRIDGETOWN COMEDY FESTIVAL 2015 gig poster is rare. It is very hard-to-find since it is a promo only available at ticket outlets, venues, and music stores to promote this annual Portland Oregon festival (May 7-10). Many performers are listed such as Jonathan Katz / Andy Kindler / Janeane Garofalo / Dana Gould / Jessica Williams/ Neil Hamburger etc. Size is 11" by 17". It is in great condition for display, at least Mint/Near-Mint. It will be shipped rolled in a sturdy tube.